The Gardall SL6000 is a heavy duty safe that can easily be hidden behind a picture or mirror for added security once placed inside a wall. Designed to be recessed inside a wall with a depth of 6" it will store your valuables as you rest assured that your contents remain safe. The safe also has a recessed door, so it will prevent any attempts at prying open the safe, while the Group II combination and heavy duty hinges. The Gardall SL4000F Wall Safe is the perfect addition to any household and will securely protect your valuables and documents from theft. 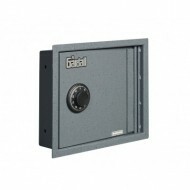 The safe has been designed to fit into a wall and can be concealed by a picture or mirror for extra assurance. 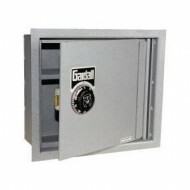 The safe has a recessed door, which will deter any attempts to pry it open while the Group II combination lock and heavy duty hinges reinforce the security at hand.